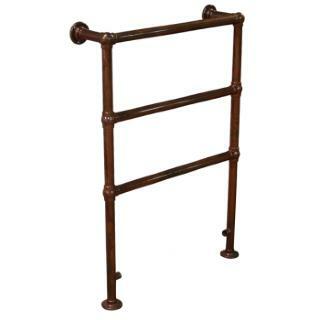 The Beckingham heated towel rail is based on a classic Victorian design. 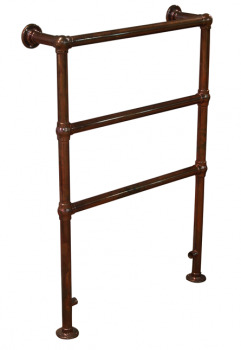 Traditional rails manufactured from quality brass tubing for a true period look. Ideal for use in the bathroom, kitchen, cloakrooms etc. Please note that this is a unlacquered copper product that will aged over time. 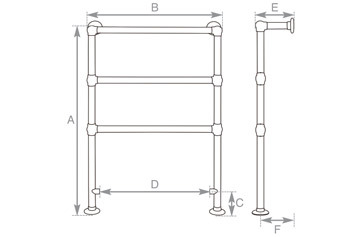 The detail product image illustrates the polished finish when the product is initially unpacked. 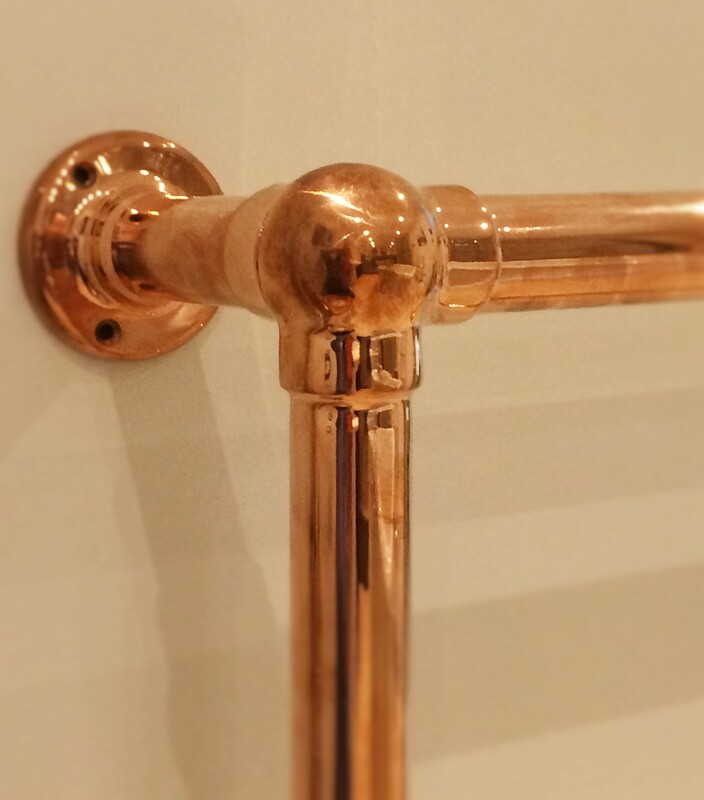 Over time the copper will oxidising creating an antiqued finish, please see full product image.